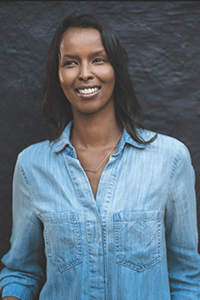 Roda Ahmed is a Norwegian author and columnist born in Hargeisa, Somalia. Roda is the best-selling author of Forberedelsen (The Preparations). Mae Among the Stars is her first children’s book. She speaks five languages: Somali, Arabic, Norwegian, English, and French. Roda lives in Los Angeles with her husband and two children. 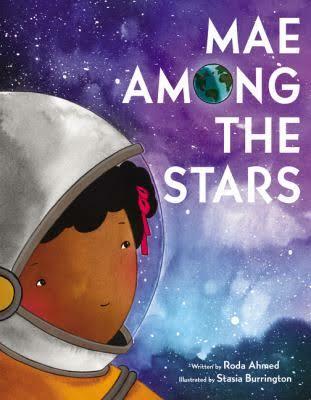 Inspired by the life of the first African-American woman to travel in space, Mae Jemison, Mae Among the Stars is the perfect book for young readers who have big dreams and even bigger hearts! Little Mae’s curiosity, intelligence, and determination, matched with her parents’ encouraging words, paved the way for her incredible success at NASA as the first African-American woman to travel in space. A great classroom and bedtime read-aloud, this book will inspire other young girls to reach for the stars, to aspire for the impossible, and to persist with childlike imagination.